I love paradox or a good twist to a story. Very interesting information on the paradox. I love your examples. I’ll be providing a link to this post in my June Newsletter. I’m always delighted with your literary examples. Who but you would remember the delightful paradox from Robert Louis Stevenson’s Bed in Summer? I love paradoxes in books and movies. In fact, the movie Catch 22 with Alan Arkin is a movie I recall fondly, even with all its darkness. I feel the same way about a good twist to a story. Thank you very much for including this post in your newsletter. Have I told you how much I enjoy your lounge avatars? What a great way to do interviews. 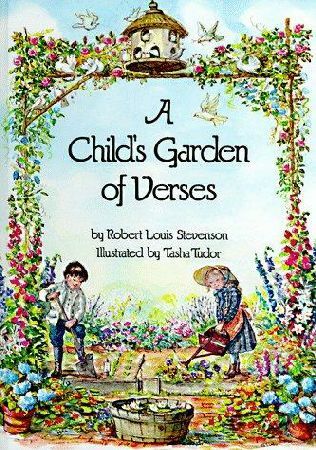 I love all of A Child’s Garden of Verses, but “The Swing” is my favorite. No paradoxes there. I remember some of the scenes from “Catch 22” very vividly. Wish I could forget. Great samples. Love the verse. Lots of great information showing you know your way around the Parodox. Thanks for sharing! Thanks for stoping by, Charlie.